"This is a one pan meal that's in the oven in 15 minutes. 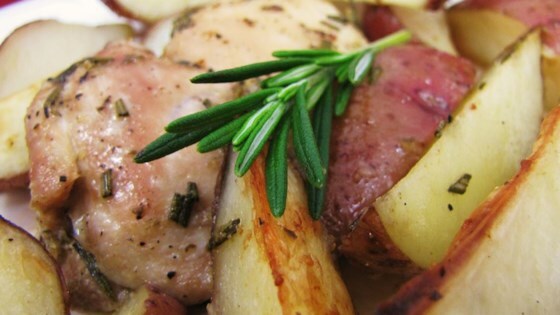 Rosemary, garlic, and oregano create a mouth watering aroma. If using dried herbs in place of fresh, use 1/3 the amount. Potatoes are crispy like french fries, just serve with ketchup. Kids just love this!"